Buses are one of the most unrevealed types of vehicles in all the games. 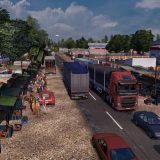 Euro Truck Simulator 2 is not an exception. However, it’s always fun to try out something new and experience something absolutely different. 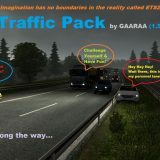 Even though the original game doesn’t include a lot of different buses you may always fill this gap with some ETS2 Bus mods. 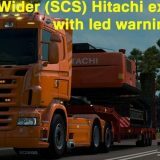 Absolutely free to download, easy to install and no limitations as you’ll be able to use these mods as much as you want until you decide to replace old ETS 2 Bus mods with some new ones. There’s no greater deal in this world so it would be crazy not to use this opportunity. 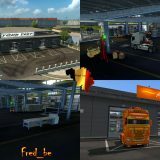 Grab the best Euro Truck Simulator 2 Bus mods now and enjoy the pleasure of driving best buses in the world. Feel the excitement of being a bus driver and dive into brand new adventures which will ensure you irreplaceable moments.